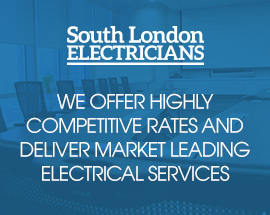 For expert electrical advice and professional, electrical services, look no further than South London Electricians. With over 20 years experience providing high quality electrical maintenance and installation to areas of London and beyond, South London Electricians go above and beyond the normal expectations of an electrical company. We will work on a one to one basis to ensure complete customer satisfaction, every step of the way. Every member of our team is highly trained and with years of experience performing electrical maintenance, installation, repairs and replacement, we are committed to providing the best possible service for customers in the Caterham area. Since the establishment of the business in the 1990’s, Adrian and the team have worked on over 3000 homes across the UK and even overseas, and we have also completed a number of contracts with leading supermarkets such as Sainsburys and Tesco. Our business allows us to be completely flexible in the wide range of projects we take on, so no matter how big or small your project is, we are happy to help. We are registered members of the government approved directory sites TrustMark, the Competent Person Scheme and Checkatrade and we are also registered as NICEIC contractors, which mean we are nationally recognised as a team of trusted traders for all projects, large or small. We also offer no obligation advice and quotations, and if you have a query or a problem, simply give us a call and we will help you in the best way we can. Because electrical maintenance is not simply a one job project, we provide a 24/7 emergency callout service to all our customers. This includes anything from replacing fuse boards, to fixing faulty cabling, so home entertainment systems maintenance and more. If you are a landlord or letting agency, we provide competitive rates for electrical inspections and maintenance and will happily provide a no obligation quotation if you should require it. Whether you want security lighting or CCTV for your small business, you need a simple electrical inspection, or you have a long term large scale project, South London Electricians will be on board with professional, experienced technicians to provide you with top quality service.